A group of paralysed patients will soon undergo a revolutionary procedure that could allow them to walk with the power of thought. The key to returning mobility is a tiny, matchstick-sized device called a stentrode. It will be implanted into a blood vessel next to the motor cortex, the brain’s control centre – bypassing the need for complex brain surgery. 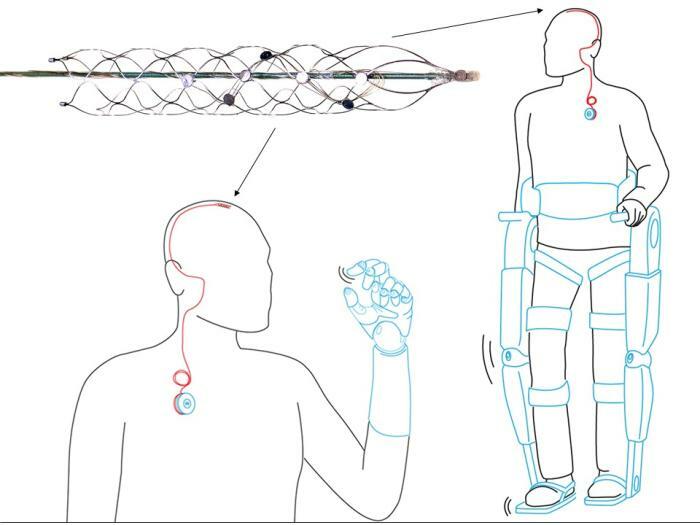 From there it will pick up brain signals and allow patients to move a robotic exoskeleton attached to their limbs simply by thinking about it. This notion of wirelessly thought-controlled limbs is within reach, thanks to a collaboration of 39 brilliant minds from 16 departments across the University of Melbourne’s medicine, science, veterinary science and engineering faculties. The stentrode can record brain signals from within a blood vessel next to the brain. These thoughts are captured, decoded and passed wirelessly through the skin to enable control of an exoskeleton. A research paper published in Nature Biotechnology hails the pre-clinical animal trials of the stentrode, which measures only three millimetres wide, a success. The research team demonstrated the stentrode can pick up strong electrical frequencies emitted by the brain that are coded into a computer. The computer then sends a signal to an exoskeleton attached to the arms or legs, enabling movement. The stentrode could also benefit people with Parkinson’s disease, motor neurone disease, obsessive compulsive disorder and depression and could even predict and manage seizures in epileptic patients. 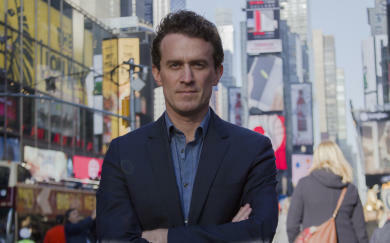 Neurologist at the University of Melbourne, Florey Institute and the Royal Melbourne Hospital, and current endovascular neurosurgery fellow at Mount Sinai Hospital, New York City, Dr Thomas Oxley, is the founder of this technology. In 2011, Dr Oxley was travelling in New York, after completing his internal medicine fellowship at The Alfred Hospital, Melbourne. He had been following the work of DARPA, the US Department of Defense’s research unit, on brain-machine interfaces and decided to cold-call them to pitch a simple yet mind-boggling idea. Four researchers from the University of Melbourne, the Royal Melbourne Hospital, and the Howard Florey Institute for Neuroscience and Mental Health explain how the stentrode went from an idea to a prototype ready to implant in humans. 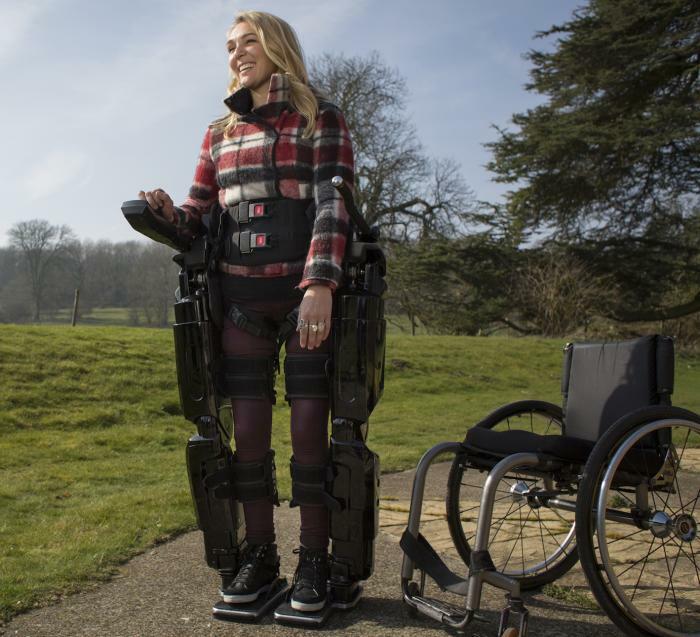 What if paraplegics and quadriplegics could power an exoskeleton with their thoughts – without the need for complex and invasive brain surgery? “I received an email back from Colonel Geoffrey Ling, the military neurologist directing DARPA’s prosthetic limb program, who invited me for an informal chat,” Dr Oxley says. “I put together a sketchy presentation and got on the bus to Washington DC. Under the supervision of Professor Terry O’Brien, from the Royal Melbourne Hospital and the University of Melbourne’s Medicine, Dentistry and Health Sciences Faculty, Dr Oxley assembled a team of scientists, neuroscientists, surgeons, doctors and engineers. 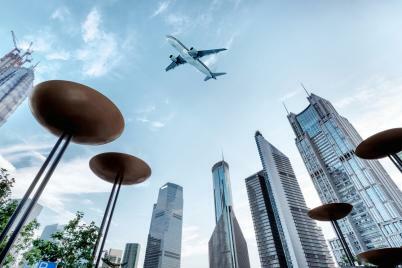 The DARPA funding was leveraged with two large grants from the Australian National Health and Medical Research Council for a further $2.2 million. “Professor Terry O’Brien made it happen. He walked me in to the Department of Engineering and introduced me to Tony Burkitt and David Grayden, engineering professors who had worked on the bionic eye and bionic ear projects,” Dr Oxley says. University of Melbourne Professor Terry O’Brien, consultant neurologist at the Royal Melbourne Hospital, oversaw the project. Here, he describes the life-changing potential this tiny device offers, hailing it the ‘Holy Grail’ of bionics. Professor O’Brien, who is Head of the University’s Department of Medicine at the Royal Melbourne Hospital, has dubbed Dr Oxley’s new technology the ‘Holy Grail’ of medicine. The stentrode, designed in Melbourne and crafted from a space-age alloy called nitinol, will be inserted into the blood vessel with a catheter fed up through the groin – the same approach that has been used for years for cardiology and removing stroke clots. The stentrode is inserted into a blood vessel that sits over the motor cortex. The device is delivered through a small catheter, and when in position, the catheter is removed, deploying the stentrode. 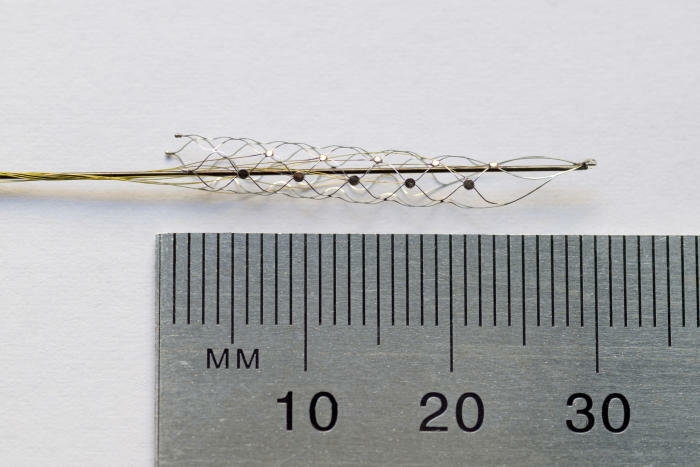 The stentrode expands to press the electrodes against the vessel wall close to the brain where it can record neural information and translate these signals into commands that can be used to control an exoskeleton. When the catheter is inserted into the blood vessel in the brain, it leaves a small cigar-shaped ‘basket’, wired with electrodes, which can record the brainwave activity. “There is no craniotomy, no risk of infection, it’s all run through the groin and passed inside the body up into the brain,” Professor O’Brien says. For Dr Oxley, the situation seemed surreal. He’d gone from having an idea to a multi-million dollar budget and a team within the space of several weeks. “All of a sudden I’d started my PhD and had several million dollars to work with and a whole area to start my own lab with the engineers,” he says. Three years of design, development and testing led to the unveiling of an ingenious stent device which can be implanted in a simple day procedure. Professor Clive May, from the Florey Institute of Neuroscience and Mental Health, explains how the device is implanted using minimally invasive surgery that can be performed within a few hours. Professor Clive May, from the Florey Institute of Neuroscience and Mental Health, is behind trials of the technology in the brains of healthy living sheep. He recorded this seamless integration of technology and biology, with the device reading electronic brain signals from the motor cortex loud and clear. The sheep were unaffected by the painless, quick and simple operation and were walking and eating within an hour. “As the device absorbed into the vein wall after nine or so days, the electrical signals continued to become clearer and stronger, up to 190 hertz, as strong as signals previously recorded with intricate invasive brain surgery,” Professor May says. “Personally, the fact that our device can record signals up to 190 hertz is the most exciting finding in our Nature Biotechnology paper,” Dr Oxley says. “The data between 70 to 200 hertz is the most useful for brain machine interfacing. Dr Nicholas Opie is a biomechanical engineer. Here, he describes the long process from the stentrode’s first iteration to the elegantly simple, yet astoundingly clever design that will be implanted in humans in 2017. 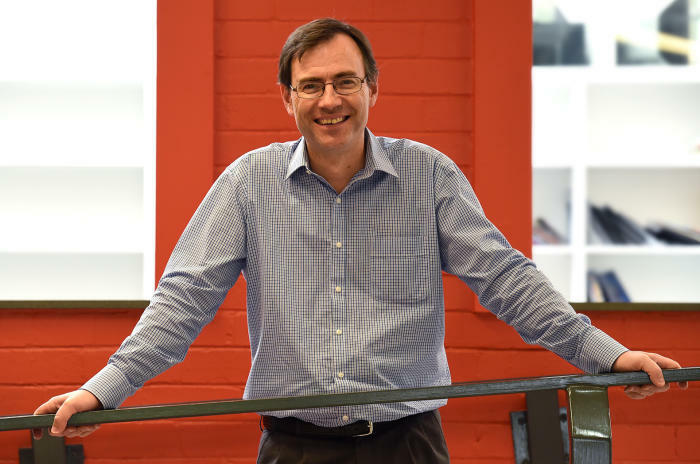 He and Dr Oxley co-founded SmartStent, the company that will translate this research into reality. Dr Opie was recruited from the bionic eye project. His challenge: to engineer a tiny net-like device that could be fitted with electrode receivers. It needed the ability to collapse to a tiny few millimetres in diameter and spring back into shape to act as a scaffold to maintain the flow of blood and permanently settle into the vein. Crucially, the device needed to be biocompatible. “The first iteration was pretty horrible,” he admits. “I don’t want to count how many we’ve made. Hundreds of iterations later, Dr Opie and his team produced the winning design using a flexible material called nitinol, also used in bra underwires and for modern glasses frames. The stentrode device went through hundreds of design changes before researchers were satisfied it met their requirements of being light, flexible, bio-compatible and small enough to be threaded into a one millimetre blood vessel. The researchers say this transmission can be coded into signals that control an exoskeleton. The first patient will work hard to ‘code’ each of these unique signals to their exoskeleton. “Imagine someone bought a piano for you and you didn’t know how to play,” Dr Oxley explains. In 2017, the stent will be implanted into carefully selected paraplegic or quadriplegic patients by surgeons at the Royal Melbourne Hospital. The long road to coding will begin at the Austin Hospital’s Spinal Cord Service. The first patients will most likely be young people who have suffered a traumatic spinal cord injury around six months to a year earlier, who are suitable for exoskeleton legs. They will be chosen for their level of determination, their resolve and their physiology, Dr Opie says. Dr Opie will be there to guide the first patients through the journey. He says one of the remarkable aspects of his device is it does not require opening up the skull to implant. “Other groups around the world have been looking at an invasive method, where you remove the skull and put electrodes on to the surface of the brain or use a pneumatic gun to fire them into the tissue,” he says. “There are issues with this. First, when the electrode is directly implanted into the brain it requires very invasive brain surgery, with a 26 per cent risk of bleeding and infection. Melbourne School of Engineering Professor David Grayden was the senior engineer overseeing the project. He was instrumental in securing the DARPA funding. Professor Grayden says the stentrode has potential to provide electrical stimulation, as well as receiving signals, and could be useful for the bionic eye. 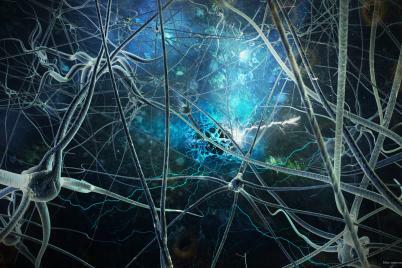 “In the future, these electrodes could stimulate the brain. It could be used as a complementary stimulation for a bionic eye,” Professor Grayden says. He says if the retina is not functioning, some vision could be restored by stimulating the brain directly. But the challenge has always been the part of the brain responsible for sight is difficult to get to with surgery. Professor Grayden says the expertise across the University of Melbourne was key to the stentrode project’s success. “None of this would’ve happened if I wasn’t with the University of Melbourne. No other institution in the country would be able to pull a project like this off. I was able to go back to DARPA and tell them I had the chief engineer from the bionic eye project on board,” Dr Oxley says. But, he says, it will be a matter of years before people with paralysis will be able to ask for this treatment. Multi-media content: Paul Burston and Sarah Fisher.